Silent assassin & jack of all trades, Finbarr McSweeney is a student/professional farmer. 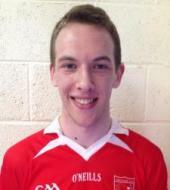 He made his debut against Kilmurry in 2013. Finbarr's favourite food is onion rings. His favourite movie is Hot Rod while his favourite pastime is kayaking. Finbarr also enjoys canoeing, handball, cricket, hurling and basketball. He considers his greatest sporting achievements to be winning a Minor B County and Under 21 Mid Cork. His best club memory is beating Kilmichael in an Under 14 Hurling blitz in what he describes as tough conditions. Finbarr considers CiarÃ¡n 'Gally' Galvin to be among the best club players he has ever seen. If Finbarr could change one thing in GAA - it would be to get rid of the gumshield. When he was younger, he wanted to be a farmer with a beard, married to Barry O'Leary. The person he'd most like to meet is James Corden, while he considers the best invention ever to be the chainsaw. Marooned on a desert island, Finbarr could not be without his twincam. You may not know this but Finbarr is secretly good at handball. 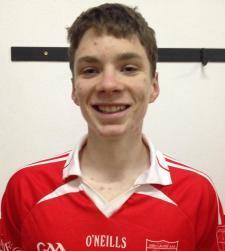 Finbarr would also like to add that he scored 5 points against Macroom in an Under 16 Football game.